EAST HANOVER, NJ – May 8, 2017 – When it comes to OREO product innovation, the sky is the limit – literally! 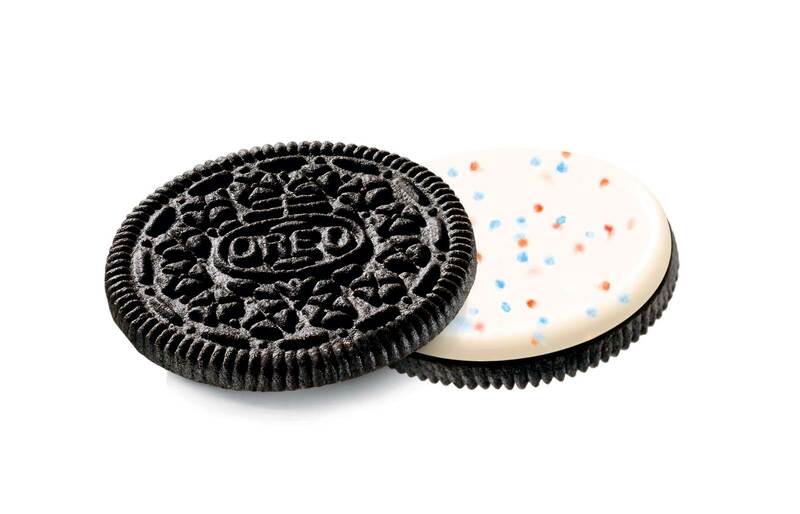 Introducing Firework OREO Cookies, the newest limited edition flavor from the OREO Wonder Vault, featuring popping candy creme, hits shelves nationwide starting today. 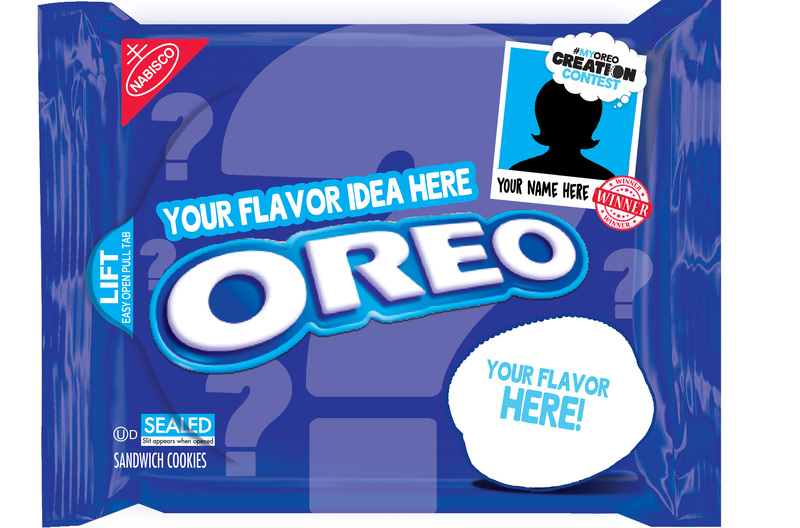 With this unique OREO cookie flavor launch, the brand also invites fans further into the OREO Wonder Vault by kicking-off the #MyOreoCreation #Contest, a search for future OREO creations. For the first-time ever, fans will submit their ideas for what the OREO Wonder Vault should create and release next for the chance to win a cash reward valued at $500,000, as well as unprecedented fan access to top-secret OREO creations. The #MyOreoCreation #Contest leverages the unique equity the OREO Wonder Vault has built around innovation and, especially, deliciously unexpected flavors. Because whether it’s turning OREO cookies into Chocolate Candy Bars or capturing the flavor of a favorite treat in an OREO cookie, the OREO Wonder Vault is constantly dreaming up ways to surprise and delight fans. And now, fans can join in. Using the newest limited edition flavor as inspiration, fans are encouraged to get creative when it comes to dreaming up what could be an OREO creation. It could be a never-thought-possible-in-a-cookie flavor, or the combination of two flavors. 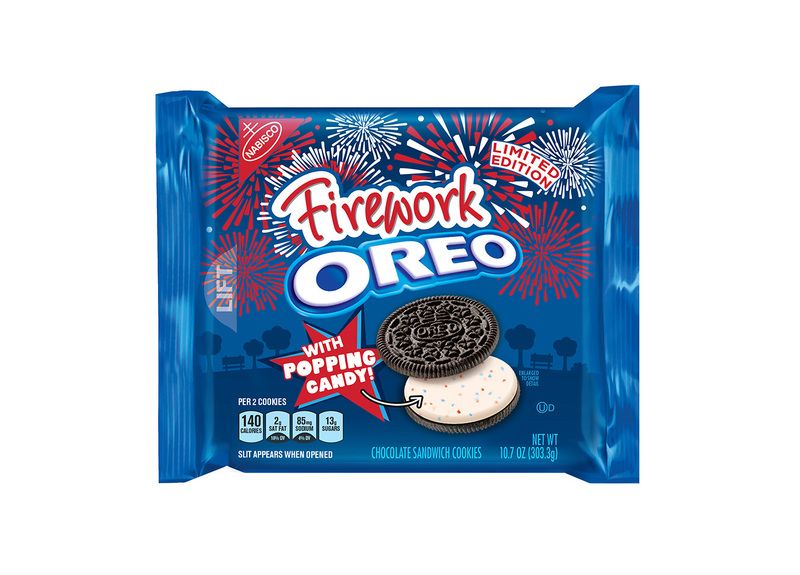 It could even be an idea that’s not even a flavor (see Firework OREO cookies!). Maybe it’s a flavor inspired by a favorite memory (what would that perfect day at the beach taste like?) or a place (how about the Rocky Mountains?). It could even be a favorite activity (like going to a carnival or camping). Eligible fans who share their #MyOreoCreation #Contest ideas will be entered for a chance to be one of three Finalists who will win $25,000 each and see their idea on select retail shelves nationwide in May 2018, complete with an on-pack shout-out. The Grand Prize Winner will be chosen via fan vote in July 2018, and will win $500,000 and unprecedented fan access to OREO creations. 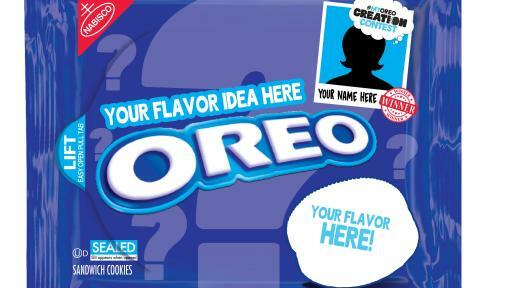 As part of the never-been-done-before tasting experience the Grand Prize Winner will get the chance to taste unreleased OREO products, including both those with future launch dates as well as creations still in the prototype phase. U.S. fans can submit one unique submission per person per day on Instagram or Twitter by uploading a photo, video or just copy and including the hashtags #MyOreoCreation #Contest. Taste Appeal (40%) – be delicious and/or evoke a feeling of joy/deliciousness. Creativity (30%) – be a smart/creative design and have a relevant theme to inspire a 2018 OREO creation. Originality (30%) – be unique and evoke a taste, feeling or remind you of an experience that would inspire an OREO cookie creation. In the event of a tie, the submission with the highest “Taste Appeal” score will be deemed a Finalist. Fans can enter between now and July 14, 2017. Go here for the #MyOreoCreation #Contest Official Rules. Looking for a little bit of creation inspiration to get started? 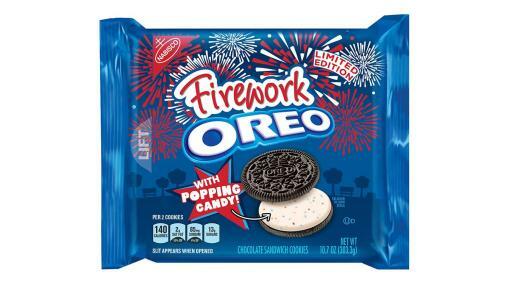 In addition to Firework OREO Cookies, the OREO Wonder Vault is opening its doors to also release a video showing people letting their imaginations run wild as they dream up their own delicious OREO creations. Go here to watch. Follow @OREO on Facebook, Twitter and Instagram for more details on the #MyOreoCreation #Contest. OREO is the world’s favorite cookie, enjoyed by families and friends in more than 100 countries around the world. OREO is the best-selling cookie of the 21st century with nearly $2.9 billion in global annual revenues. The OREO cookie’s “TWIST LICK DUNK” ritual has become the signature way to enjoy this iconic cookie in many different cultures around the world. OREO has a Facebook community of more than 40 million OREO lovers around the globe, representing 200+ countries and dozens of different languages. OREO ranks among the top five brand Facebook pages in the world. 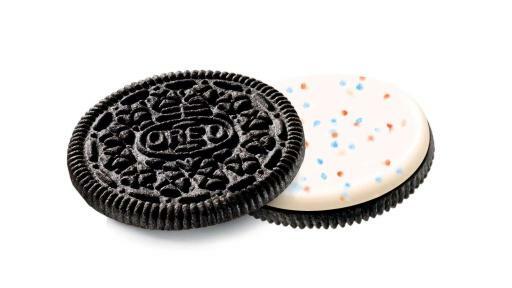 OREO celebrated its 100th birthday on March 6, 2012. Visit www.OREO.com for more information. *NO PURCHASE NECESSARY TO ENTER MY OREO CREATION CONTEST. Contest entry starts at 12:00 a.m. ET on 5/8/17 and ends at 11:59 p.m. ET on 7/14/17. Open to residents of the 50 United States, D.C. and Puerto Rico, 18 and older. Visit http://www.myoreocreationcontest.com for Official Rules and all details. Limit 1 contest entry per person, per day. PRIZE/VALUE: Contest: One (1) Grand Prize: A $500,000 check and a trip package to New York City, NY. ARV: $504,660. Three (3) Finalist Prizes: A $25,000 check and the opportunity to have OREO cookie creation produced and available in market for a limited time. ARV: $25,000. Limit: one (1) Finalist Prize and one (1) Grand Prize per person. Void where prohibited. Sponsor: Mondelēz Global LLC, 100 Deforest Ave., East Hanover, NJ 07936-2813.